Celebrate the North San Diego Business Chamber's 31st Annual RB Alive! Expo with a full day of entertainment and enjoyment. 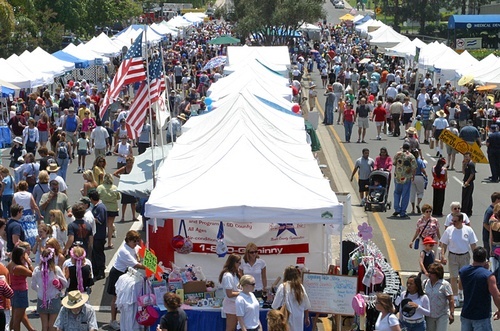 Visitors can partake of tasty treats, browse over 300 booths featuring arts and crafts, information from regional and local businesses, service clubs and religious organizations. Several special interest areas are in store for the 20,000 expected visitors. The Kids Zone provides activities and games. The Cultural Center performs historical reenactments, and local organizations will share their art, culture, history and/or handiwork. Everyone will want to stop by to view the Classic Car Show! Volunteer Opportunities are available! High School students will be awarded Certificates of Community Service Hours from the Chamber. Click here for info and to sign up. Disclaimer: Portions of this program may be filmed and/or photographed. By attending, you consent to its unrestricted use, as deemed appropriate by North San Diego Business Chamber. Click here to see our complete Notice of Filming and Photography.